Up to 30,000 people are expected to join in the New Year’s Eve festivities at Civic Square with the fireworks being the biggest drawcard. Up to 30,000 people are expected to join in Canberra’s New Year’s Eve festivities in Civic Square tonight to kick off 2019 with entertainment, food and fireworks. Police are promising a highly visible presence at the alcohol-free and drone-free event which this year is consolidated in one city site, enabling a bigger line-up of entertainment. As usual, the big drawcards will be the family-friendly fireworks at 9 pm and the midnight fireworks to see in the New Year. Organisers say they tend to attract two different crowds – meaning the event caters for a variety of people. 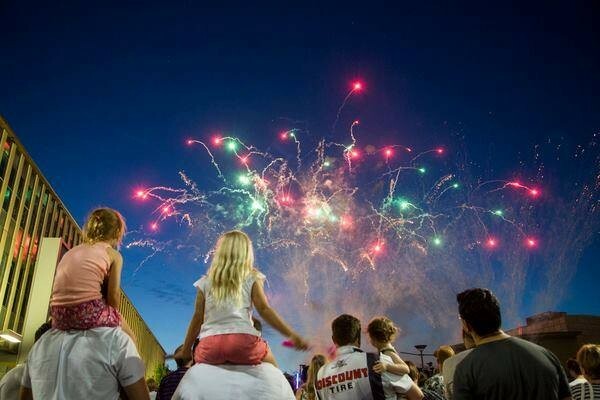 The fireworks will be launched from two sites – from the roof of the Canberra Theatre and from City Hill. 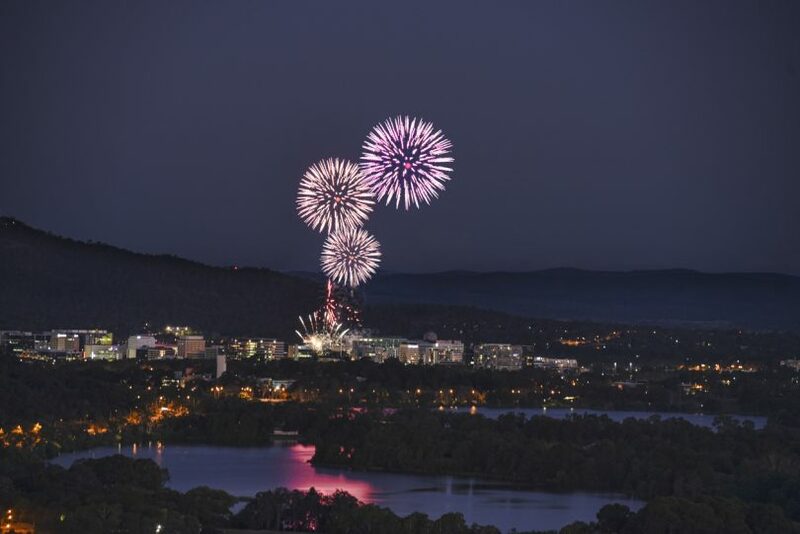 Civic Square (in front of the Canberra Theatre) will be the best place to see the fireworks but there are a range of other vantage points for people looking to escape the crowds and view the fireworks from a distance – including along the lake and nearby mountaintops. Events ACT event manager Sarah Boyd said that between 25,000 and 30,000 people are expected to attend the New Year’s Eve event across the night with 10-15,000 people likely to attend the 9 pm fireworks in its “family-friendly timeslot” and a different big crowd expected for the midnight fireworks. Ms Boyd said that Canberrans have a chance to enjoy a “close-up experience of the fireworks” in the city in contrast to people living in places such as Sydney and Melbourne where the scale of the crowds makes that difficult. Ring in the new year in true Canberra fashion. Photo: Supplied. However, there are still some good options for those who even find Canberra’s crowds too much. Ms Boyd said there are local mountains such as Mount Ainslie and Mount Taylor that people can watch the fireworks from if they want to get away from the crowds, while Yarralumla is a popular vantage point on the southside of Lake Burley Griffin, as are spots on the lake near the Parliamentary Triangle. “We find some people will have an early dinner by the lake and watch the 9 pm fireworks from a distance and then come in close to watch the midnight fireworks,” she said. Ms Boyd is anticipating that the crowds will be well-behaved for the New Year’s Eve which is being promoted as an alcohol-free, glass-free and drone-free event to “ensure a safe and friendly atmosphere”. This is also the aim of ACT Policing’s New Year’s Eve Operations Commander, Mick Calatzis, who said: “we will be having a highly visible police presence not only on the ground here on foot but also a number of traffic patrols”. “We’ll be targeting, obviously, anything that’s got to do with alcohol-related violence, certainly if any youth come under our attention if they’re abusing drugs or alcohol, and also on the roads – we’ll have a very high police presence on the roads. We’ll be targeting people who could be taking illicit drugs whilst driving and also drunk driving,” said Detective Superintendent Calatzis. The New Year’s Eve entertainment at Civic Square starts at 6 pm and runs until 12.45 am (with children’s activities stopping at 9 pm). 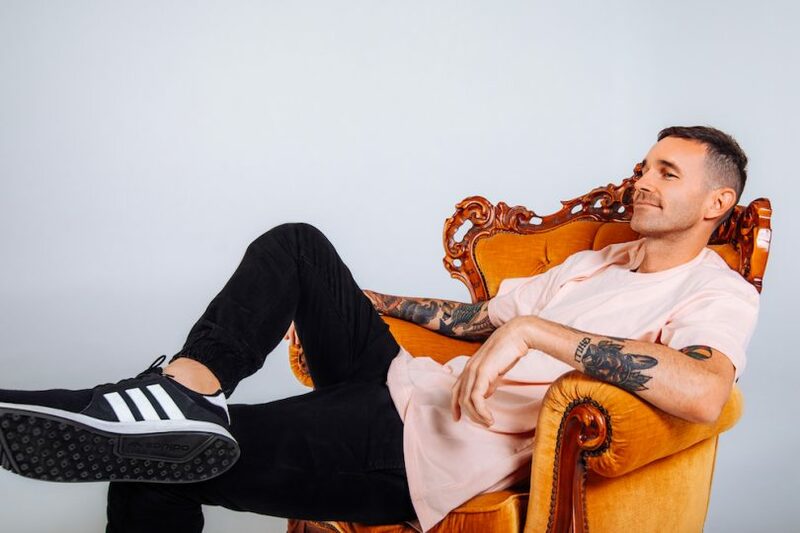 The live music at Civic Square tonight will feature electronica artist and producer, PACES. Photo: Supplied. For more details about Canberra’s New Year’s Eve celebrations please visit events.act.gov.au/nye. Do you have any tips for the best places to watch the fireworks away from the crowds? Let us know in the comments below.